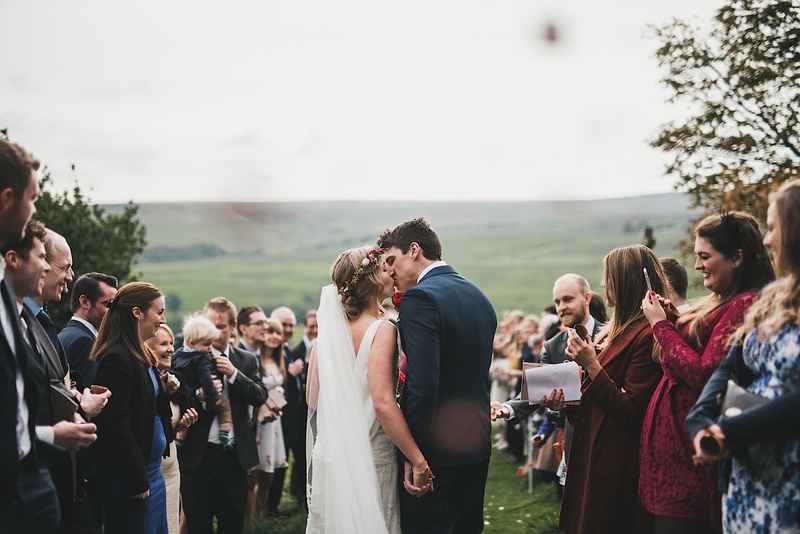 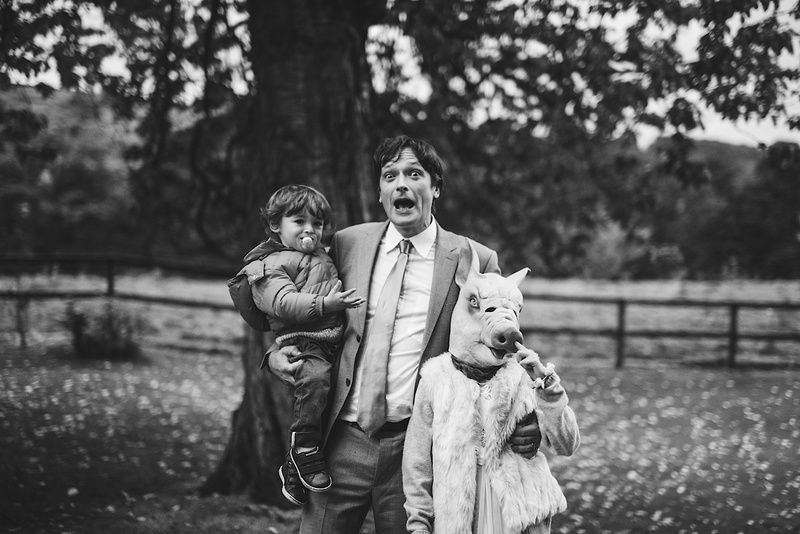 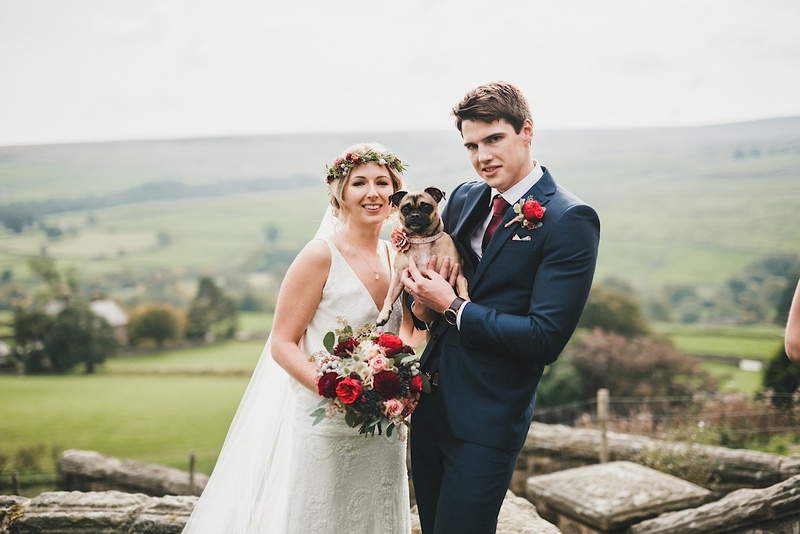 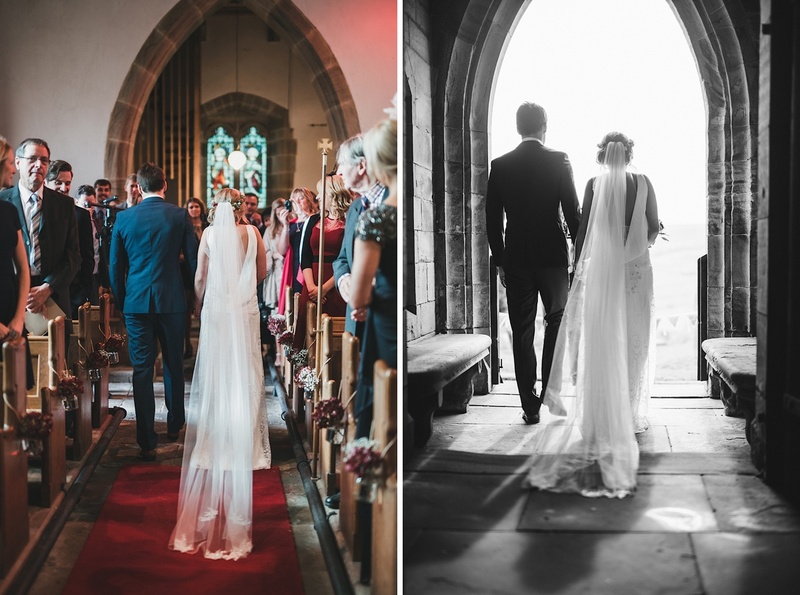 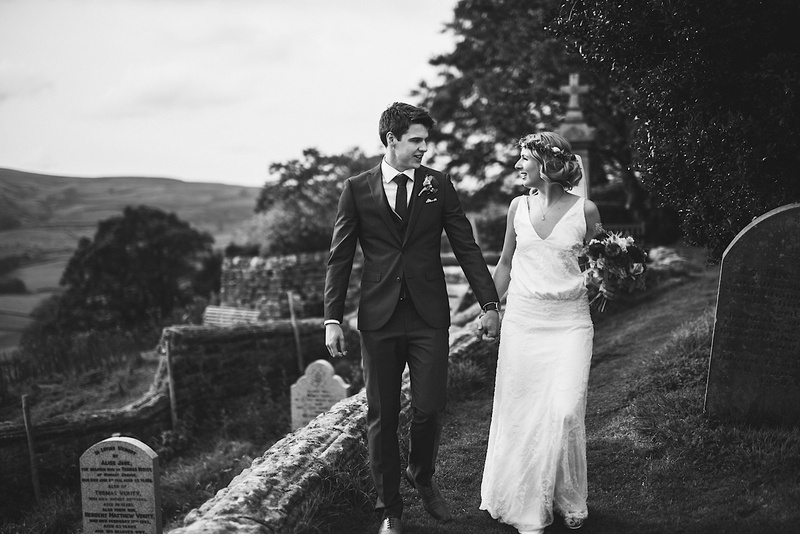 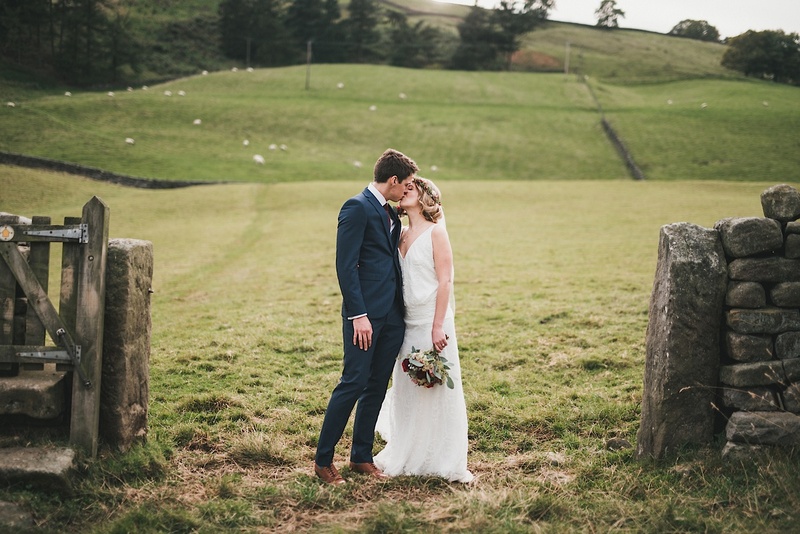 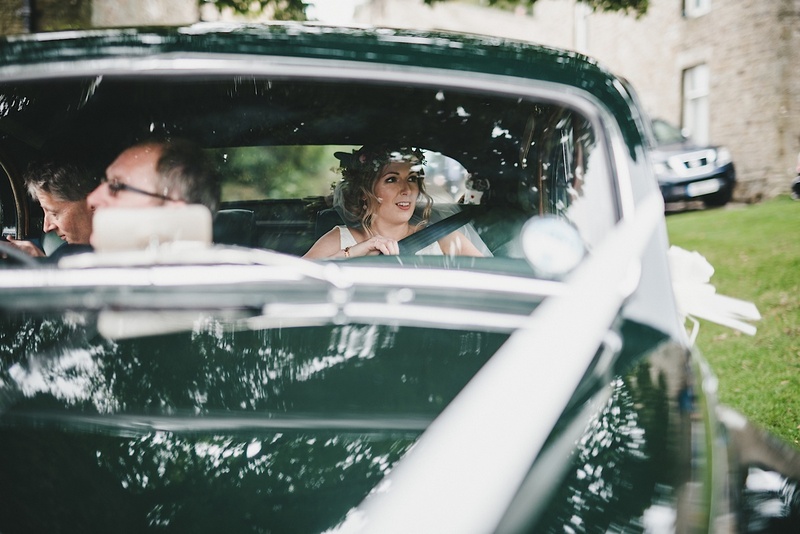 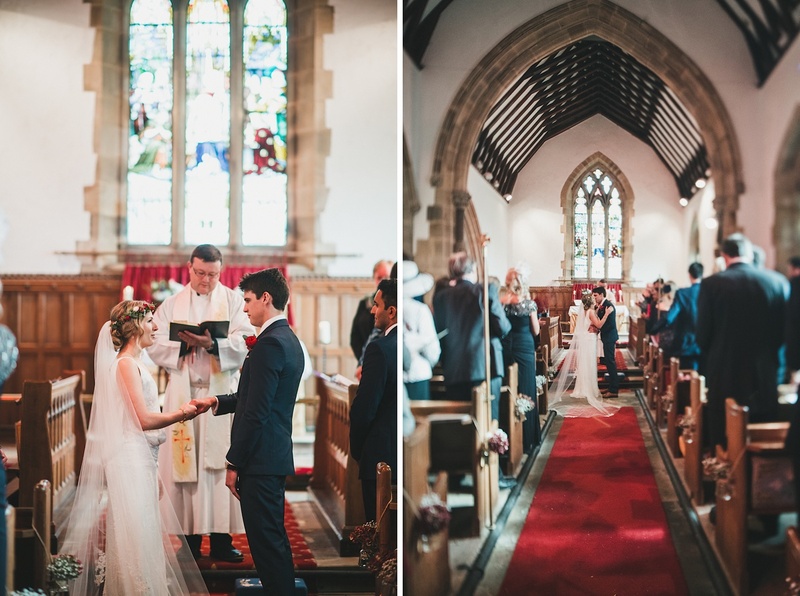 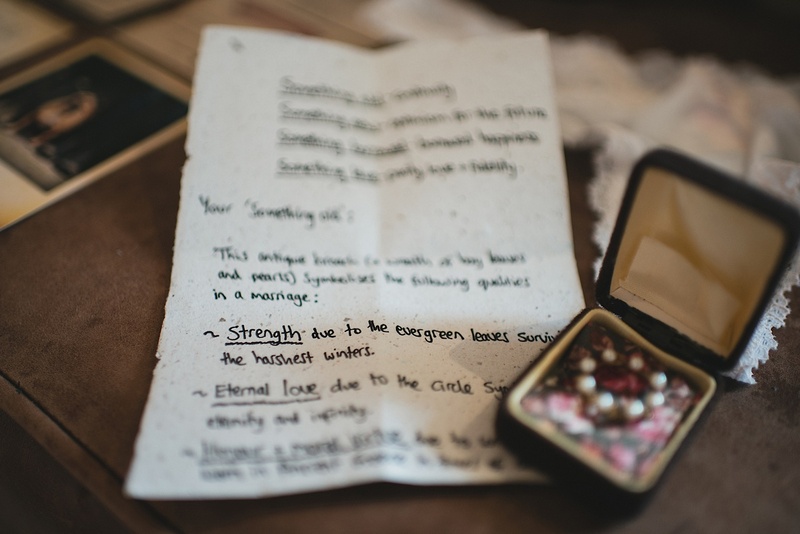 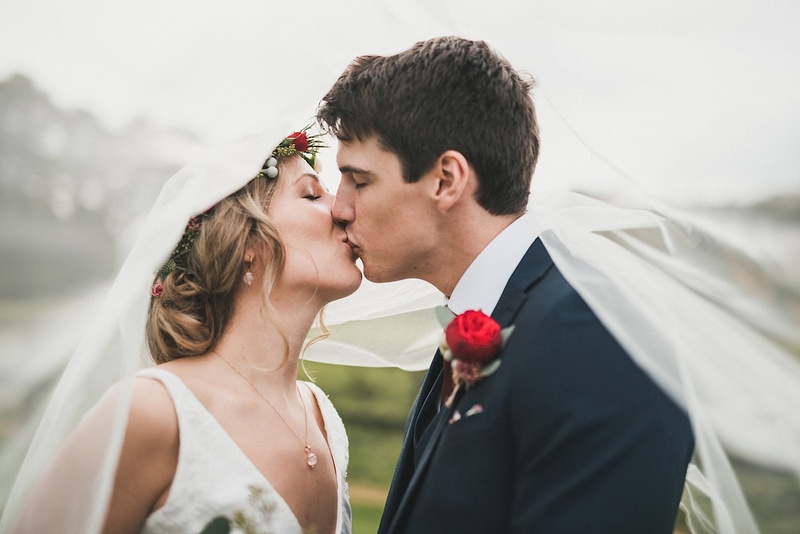 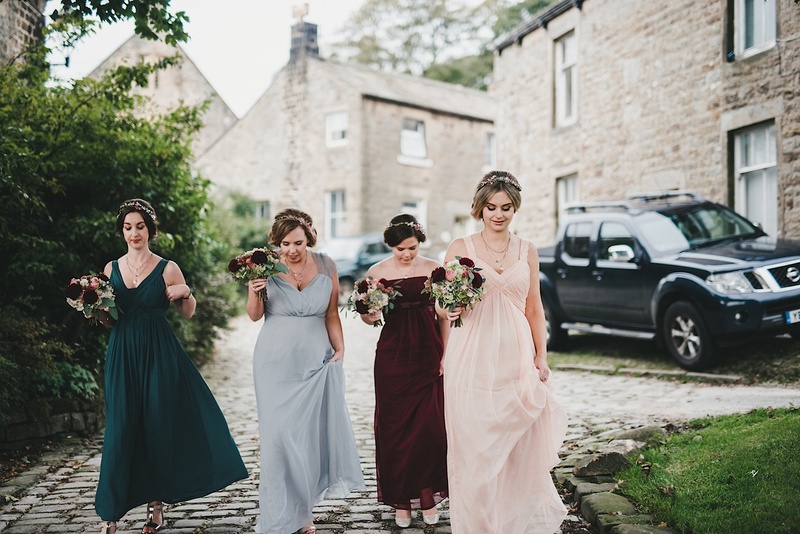 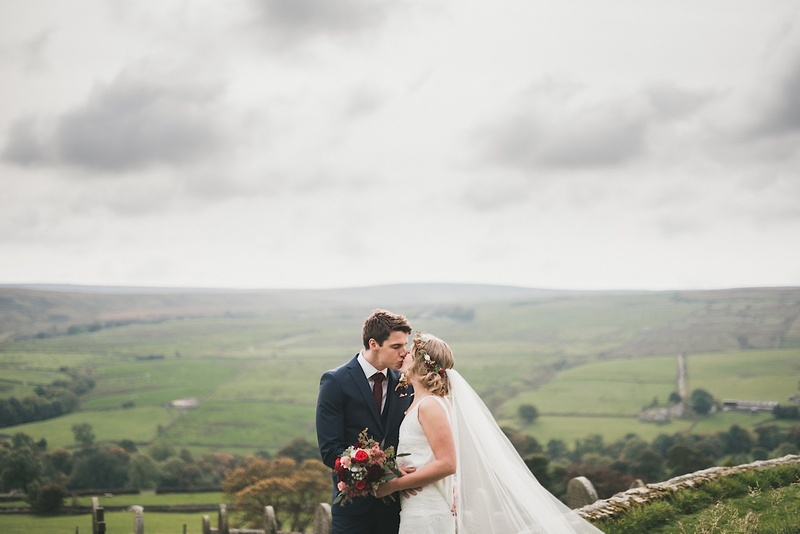 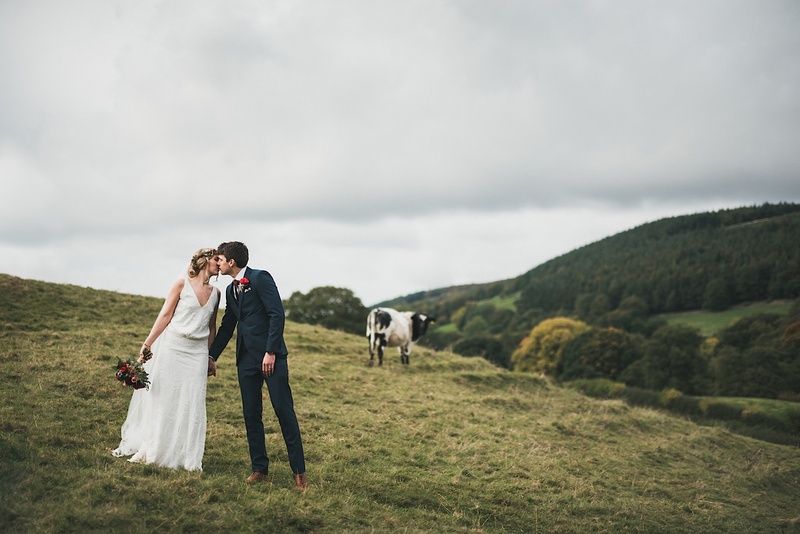 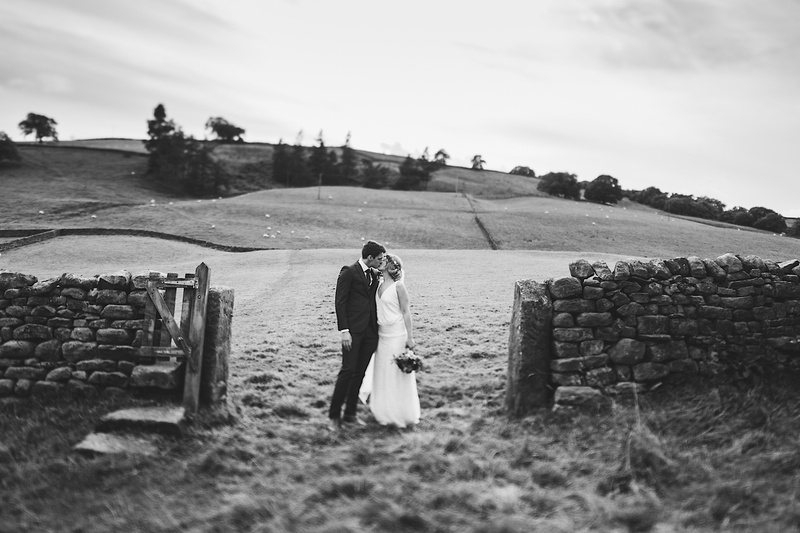 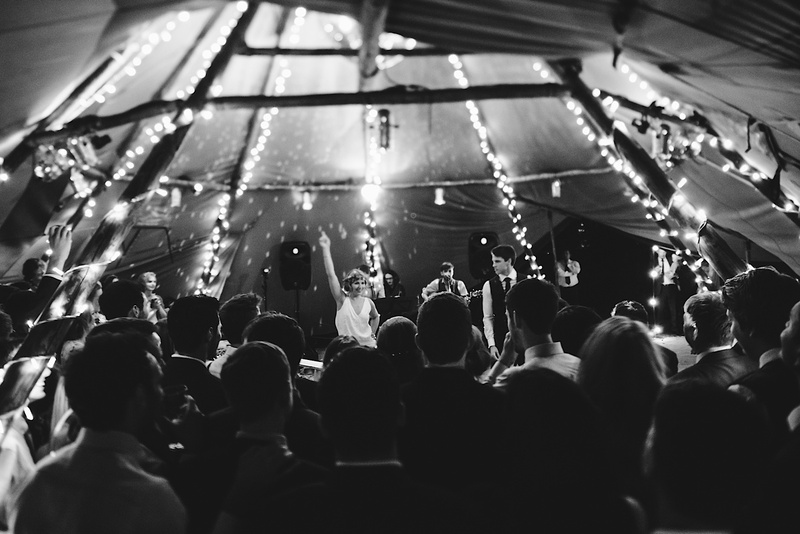 Lucy and Christian had their Yorkshire wedding back in October last year. 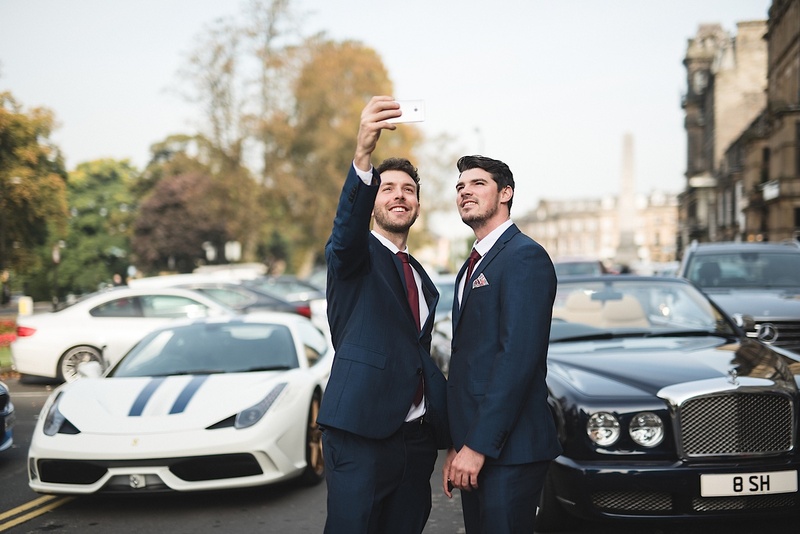 I was second shooting for one of my friends and awesome photographer James Revitt at Flawless Photography. 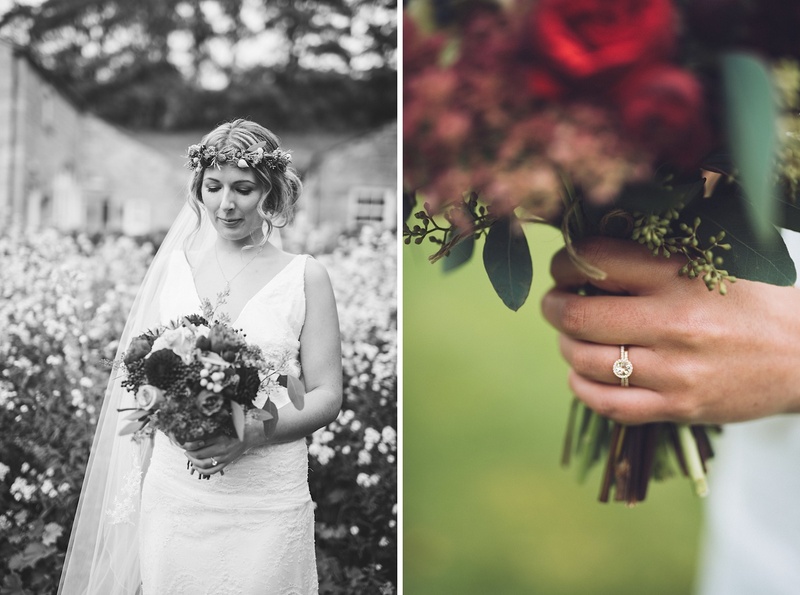 I do like to second shoot in between my own weddings not only to push my creativity but because I absolutely love what I do. 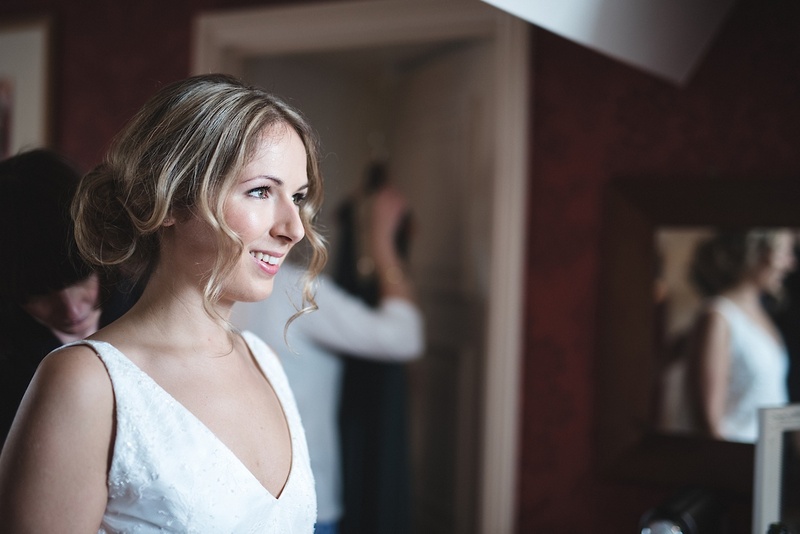 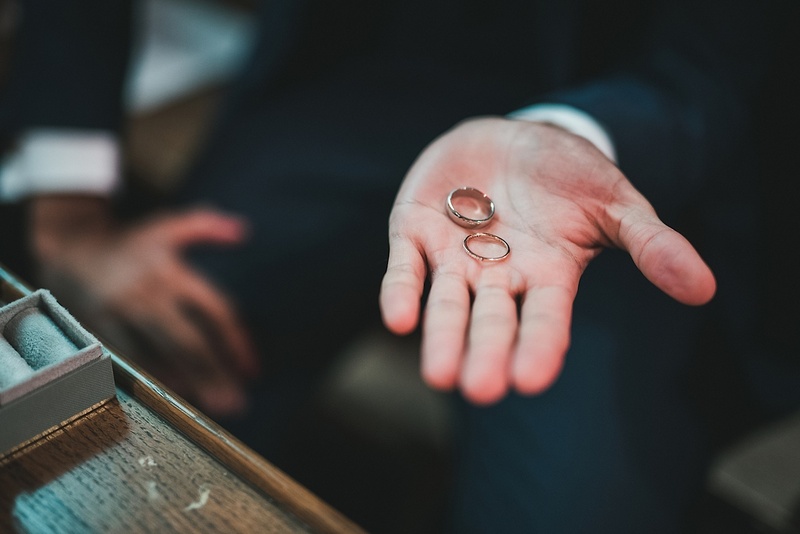 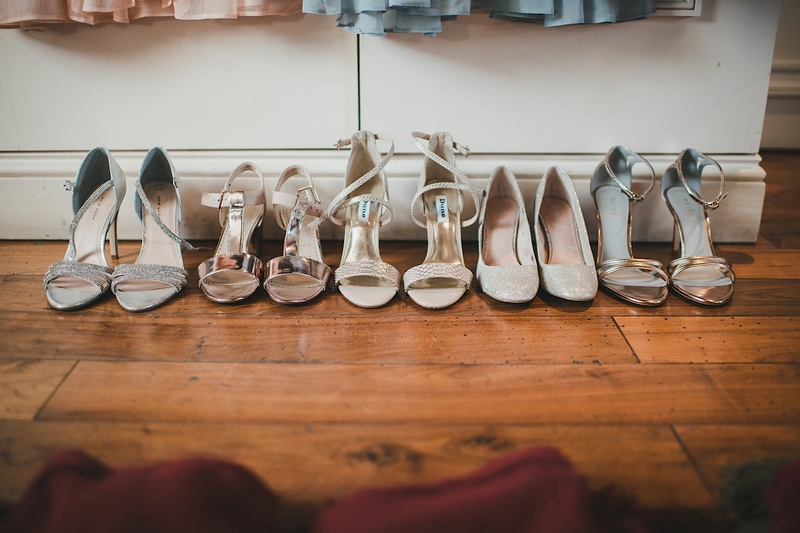 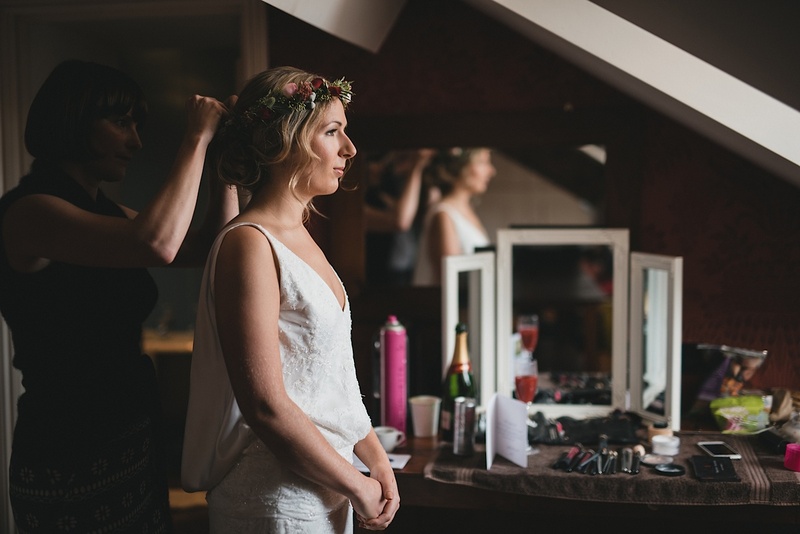 Lucy and Christian were both getting ready at Hotel Du Vin and Bistro in Harrogate which meant I document both their preparations alongside James. 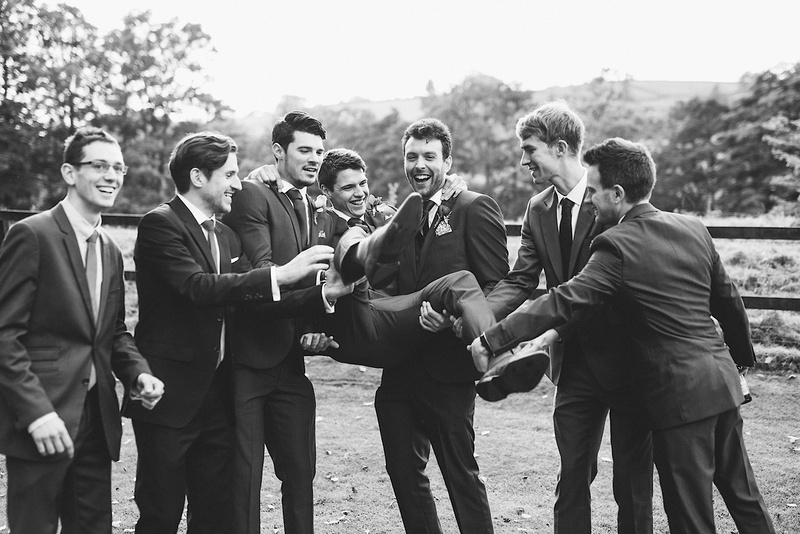 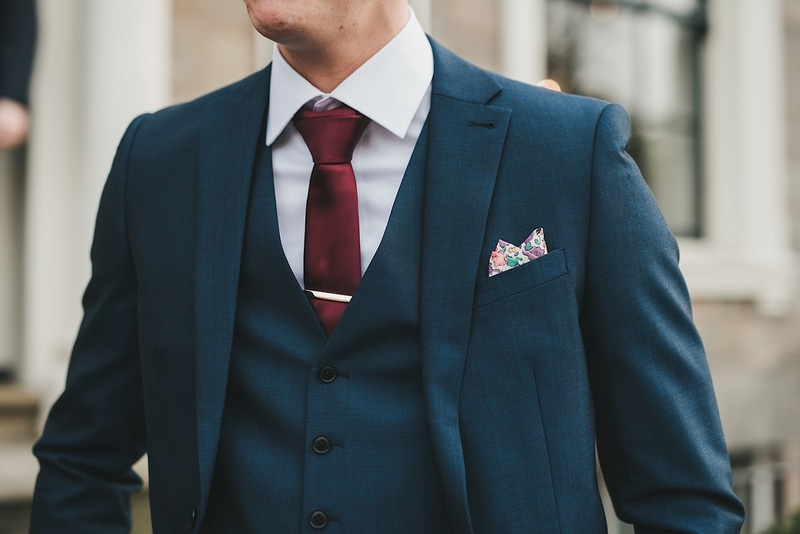 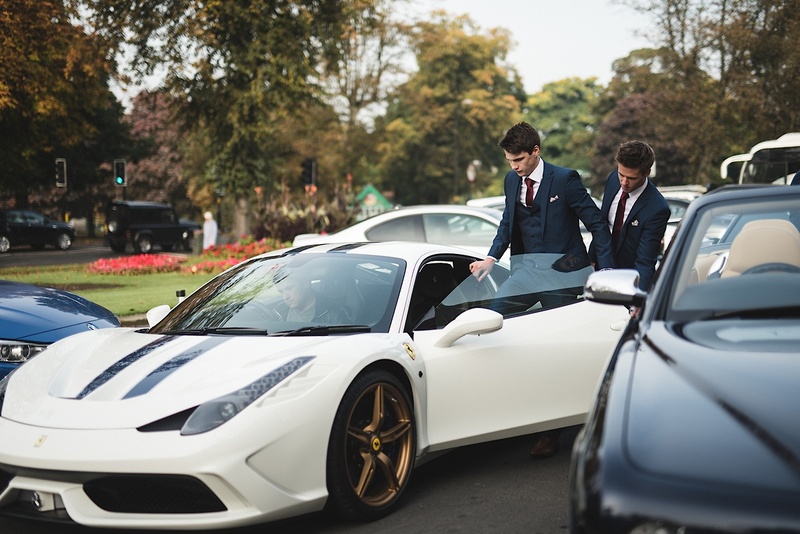 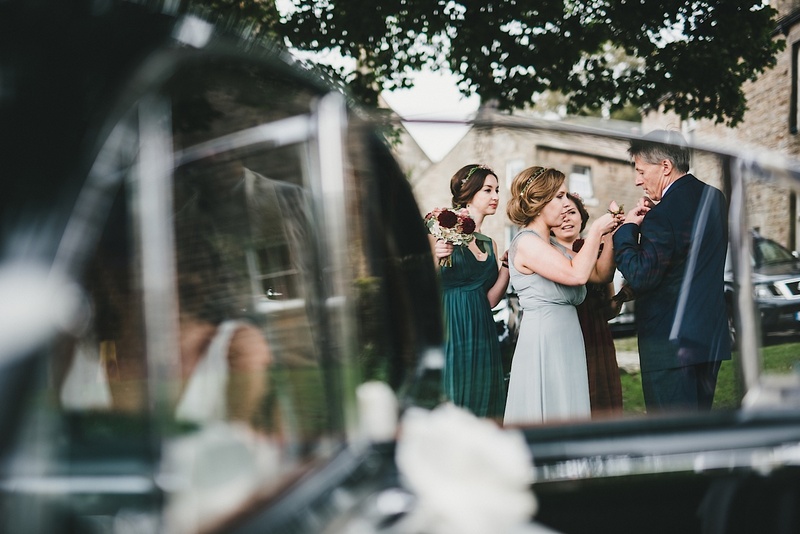 When it came to Christian’s fleet of luxury cars arriving at the hotel I left James with the bridal party and captured the men admiring the machines. 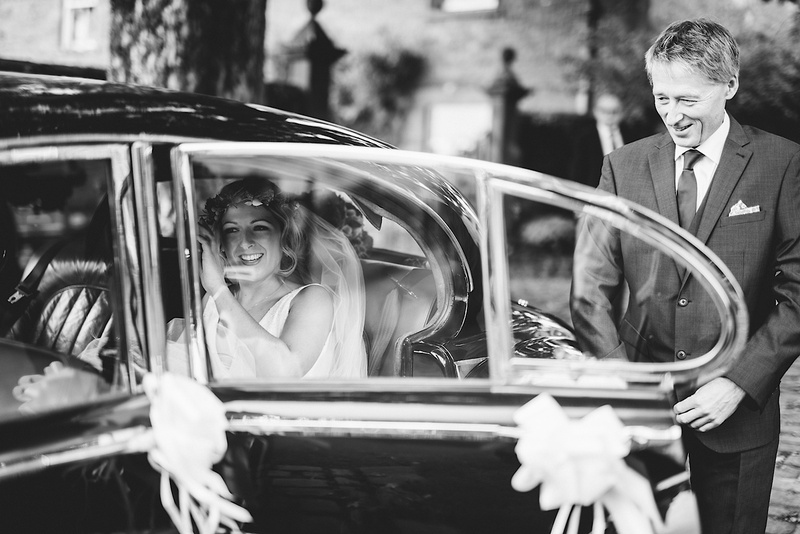 We then left shortly before the bridal party so we could capture them all arriving at the church. 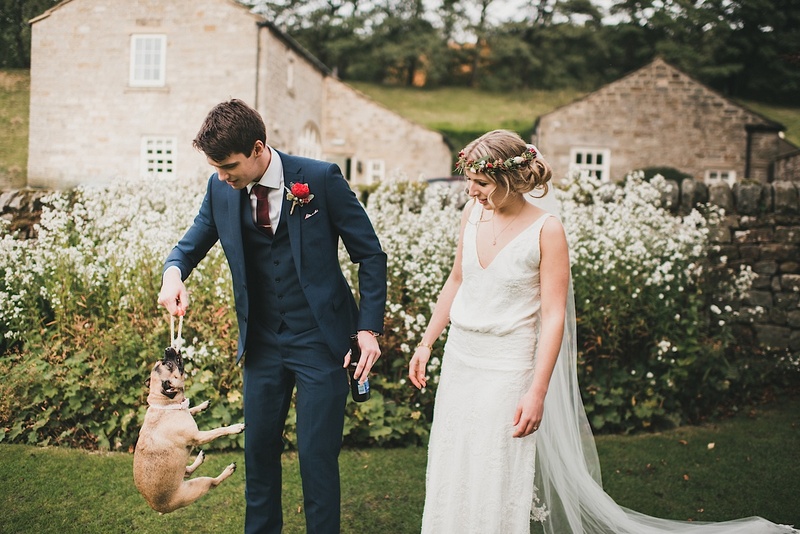 This is where I met and instantly fell in love with Primrose, the couples’ Jack Russell/ Pug cross. 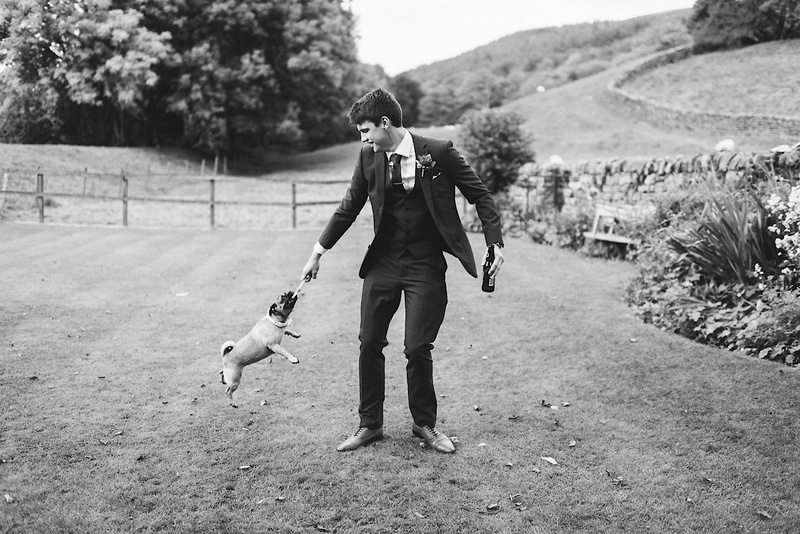 I don’t think I’ve ever met such a lovely natured pooch. 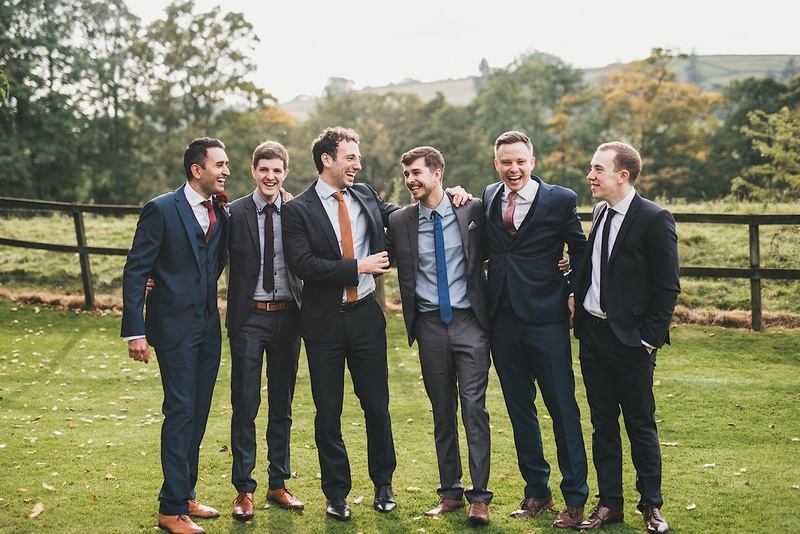 She sat through the service as good as gold and stayed for some group shots afterwards. 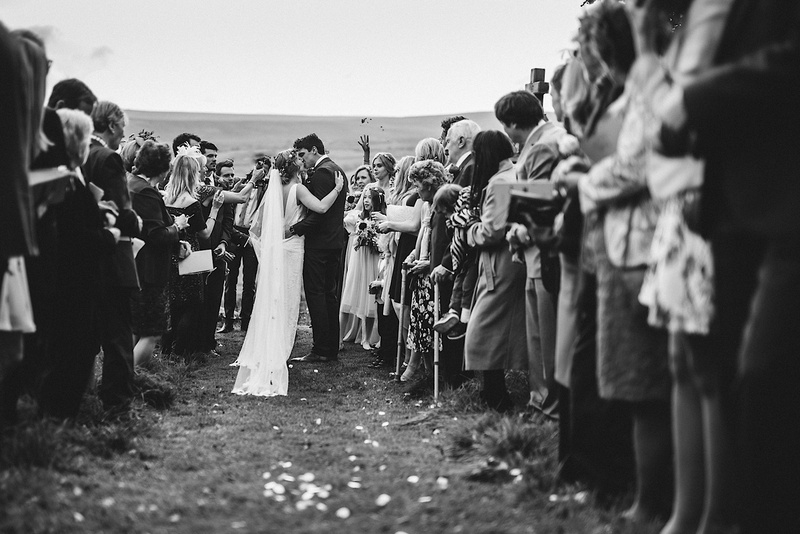 After the ceremony we made our way to the reception which was some beautiful decorated tipi’s at The Sportsman’s Arms in Wath-in-Nidderdale. 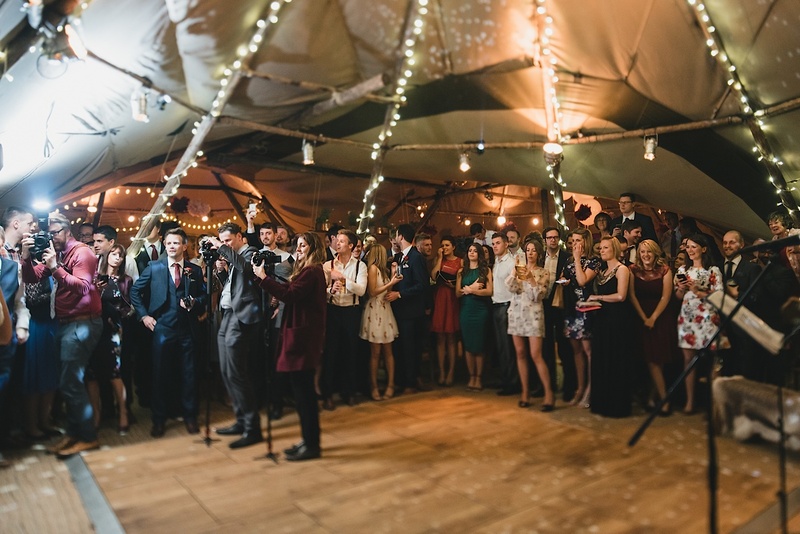 Whilst I captured the details inside the tipi’s James proceeded with the group shots on the lawn. 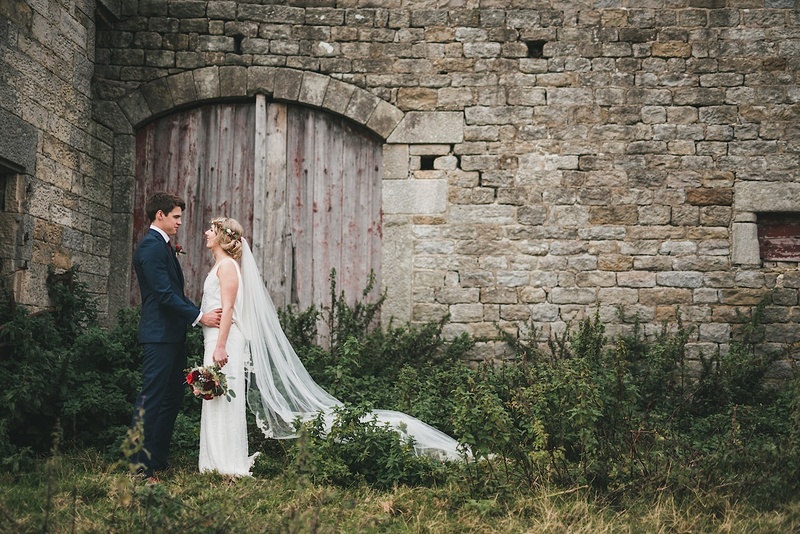 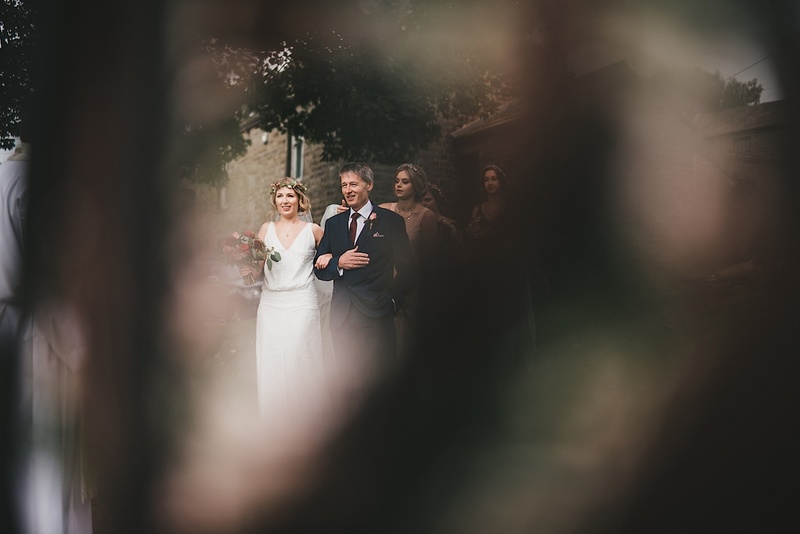 We then took the couple for some portraits in neighbouring fields and even stumbled on an old barn which made for a beautiful backdrop. 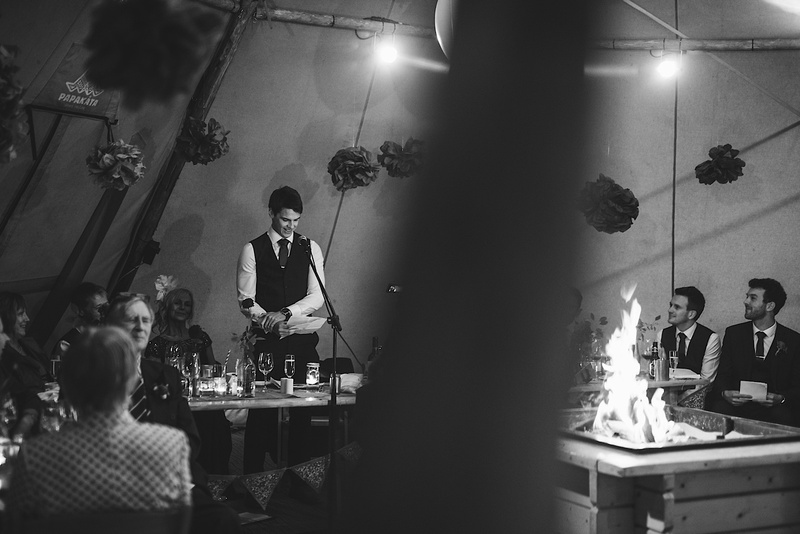 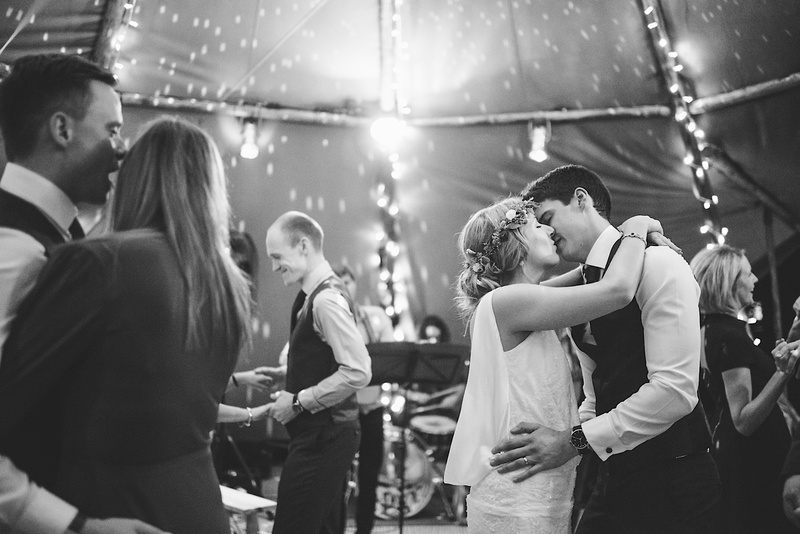 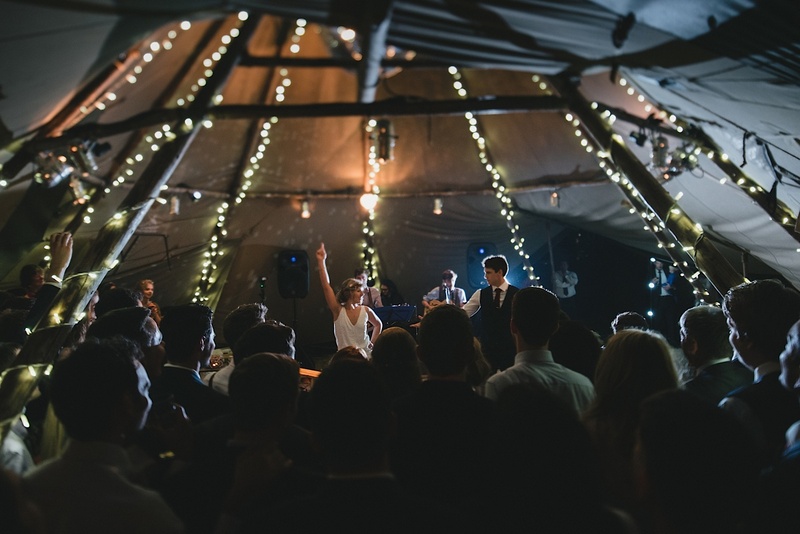 Then it was time to head back to the tipi’s for the speeches and the couples evening reception. 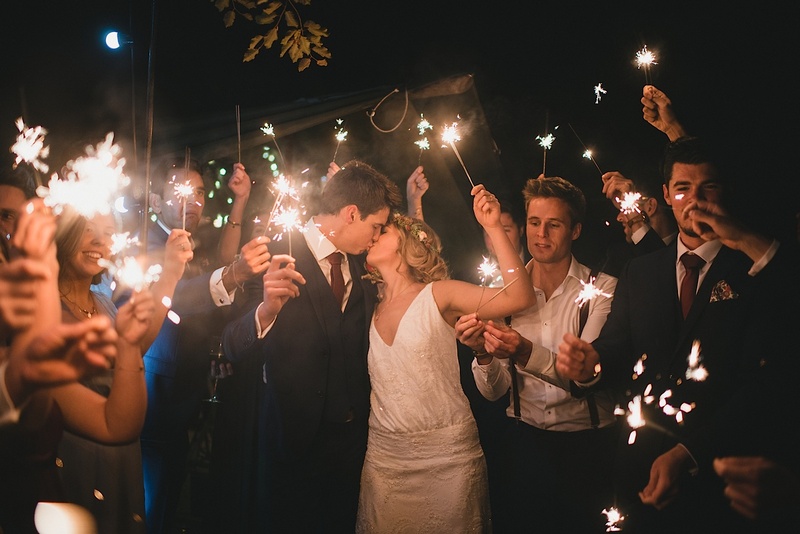 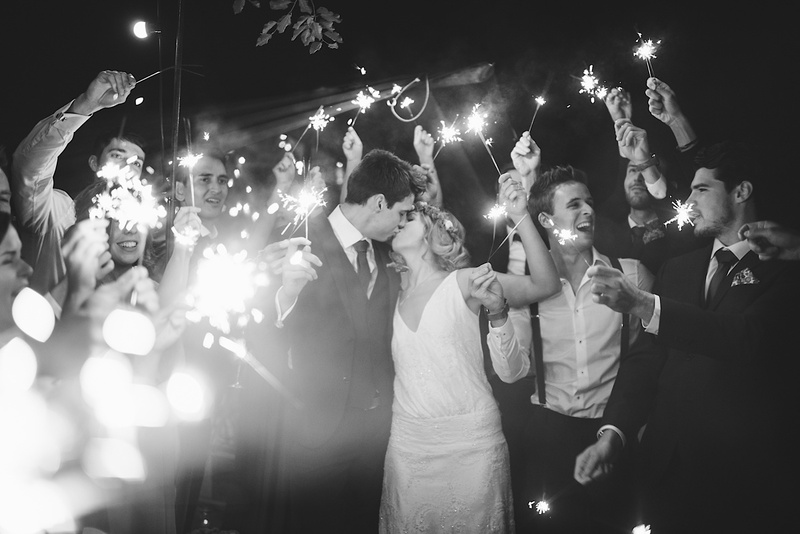 Lucy and Christian had organised some sparklers for the end of the night too which I always love doing. 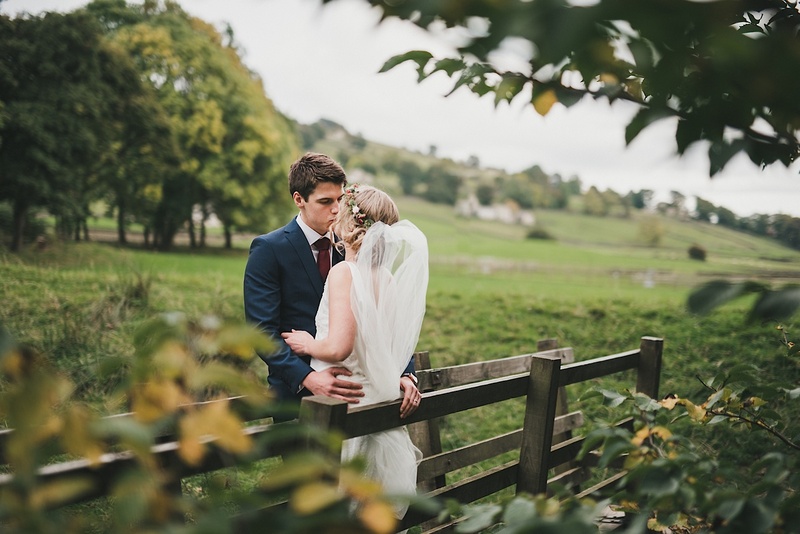 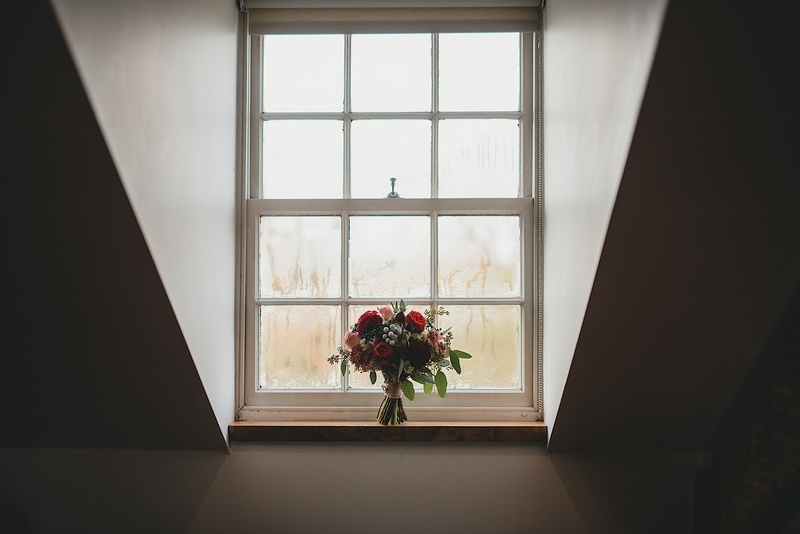 They create amazing photographs, especially if you’re having a winter wedding when light is lost in the afternoon and want to create some stunning evening shots.